While retaining an 18-inch chipping capacity, the Beever™ M18RX Brush Chipper weighs in at less than 10,000 lbs. (GVWR), eliminating the need for additional transport licensing requirements. Infeed is made with 7-gauge (5 mm), XF-100 sides and 3/8-inch (10 mm) thick, XF-100 floor to increase material tensile strength with lighter weight components. 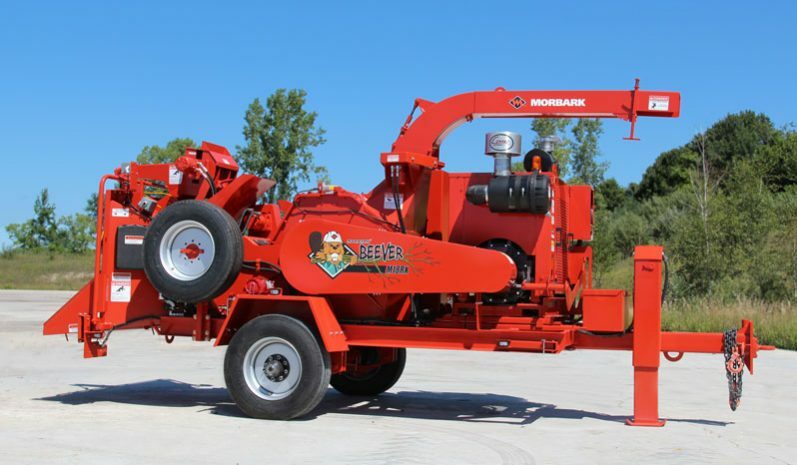 Like all Morbark equipment, the M18RX is a long-lasting, durable machine backed by a world-class parts and service support team. Bearing-style yoke pivot assembly with TorqMax™ drive and Variable Force™ down pressure system increases down pressure efficiency by 25%.